Things to Come - AutoInc. Automotive telematics is here. And experts say it will transform the way that service centers interact with and respond to their customers. How will you prepare to deal with it in your shop? Telematics is one of the most discussed topics in the auto care industry today. Over the past decade, telematics has revolutionized the industry with automotive telematics systems that make vehicle diagnostics much simpler and easy-to-access. The sudden surge in the telematics market has improved customers’ safety and auto care experience. But does this mean that vehicle telematics has revolutionized the way the auto care industry works? Indeed. In this article, I outline the importance of vehicle telematics and how it is used today to give readers a better idea about how it’s changing the auto care industry by empowering service centers to achieve better revenue. For those who are a bit hazy about what telematics actually is, it’s an amalgamation of informatics and telecommunication for automatic data transmission (receiving, sending and storing messages) through a telecommunication device. In the auto care communication market, telematics combines wireless data (audio/visual) to provide navigation, location-based security and entertainment services to vehicle owners. Telematics can be used for maintaining a vehicle’s operation and location, and enabling the use of various applications that previously could not be used inside the vehicle. The automotive telematics market offers consumer-based services that allow wireless connectivity. Vehicle manufacturers and service centers can use this service to achieve essential remote vehicle diagnostics, improve customer relationship management and enhance vehicle relationship management (VRM). Essentially, a telematics, built-in auto care system identifies mechanical and systematic problems and shares this information with service providers, manufacturers and vehicle owners. Remote diagnostics services greatly benefit manufacturers, service centers and consumers as automotive telematics allows the car’s electronic control unit (ECU) to publish the anomalies within the vehicle for necessary or imminent auto care action. This greatly decreases costs and warranty repairs on the customer’s end and creates reliability and better business on the service center’s end. Here, it’s important to establish that a telematics system is different from the global positioning system (GPS). Telematics uses GPS technology for myriad navigation and data transmission services. The navigation systems are usually characterized as autonomous navigation systems and telematics systems. Before we go any further, let’s have a brief look at the history of telematics and its significance in the auto care industry over the years. The GPS system was introduced in the 1960s by the U.S. National Security Agency. That’s when it all began. Over the next few years, after the emergence of GPS, many technological institutions began researching, developing and implementing navigational systems for enhanced security and data transmission. In 1988, various research programs experimented with vehicle telematics to improve road safety through communication interconnectivity. The ’90s brought GPS technologies to consumers, and by the late 2000s technological advancements allowed precise GPS tracking and real-time data reporting. Today, automotive telematics has been enriched with the Internet of Things (IoT) and machine-to-machine (M2M) empowered data management capacities for both the consumer market and business enterprises. The automotive market has quickly developed to provide satellite-based technologies that enabled vehicle diagnostics through wireless connectivity. Consumers can use telematics systems for roadside assistance, navigation, vehicle security, auto repair, airbag deployment and various other services that were just not possible a decade ago. The significance of vehicle telematics can best be described with a real-life example. The world’s largest fleet operator and shipper, UPS, evidently reduced its preventative maintenance procedures from 240,000 to 120,000 per year, while improving its reliability with customers with the help of auto care telematics. 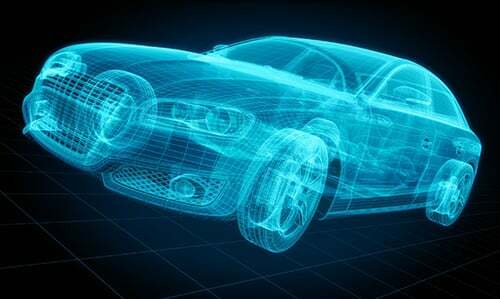 As predicted by Ernst & Young, by the year 2025, 88 percent of new cars will have integrated vehicle telematics systems. That number accounts for around 16 million cars. According to a report published earlier this year by RAC Telematics, the British automotive services company, nearly two-thirds, 65 percent, of all businesses use telematics. That is a 30 percent increase from last year’s 35 percent. The report also suggested that telematics has become popular among all business sectors, including construction and retail. The use of vehicle telematics has doubled compared to last year. Vinay Raman, CEO of CAARMO Inc., a telematics company, commented on the subject saying, “Every major market in the United States is being transformed by technology that will tailor the customer experience, extend the value providers give to their customers and build a new foundation of loyalty. • Telematics allows value-added services for auto care businesses. • With the vehicle diagnostic data, service centers and users have better price accuracy. • Telematics reduce customer acquisition costs through better customer service. • More systematic accuracy leads to less fraud. • Data diagnostics help with accident investigations. • Customers can avoid towing charges by staying informed. • Users can receive automated auto care processing. • Fleet managers get better fleet maintenance, reducing preventative maintenance costs. In simple words, customers learn about their car problem on their smartphone in real-time, and service centers learn about their customer’s problem through their web-based software. Both parties become equally aware of the problem, which facilitates open, easier communication and, hence, better service and customer satisfaction. Similarly, fleet managers stay well informed about their vehicles by tracking and monitoring driver behavior, vehicle status and vehicle health through telematics diagnostic data. Vehicle telematics offer multiple applications for the automotive industry that includes, but is not limited to, real-time vehicle movement and monitoring driver behavior, and vehicle tracking that is achieved through a global navigation satellite system that monitors location, status and driver behavior. All telematics systems require a global system for mobile communication (GSM) device and a general packet radio service (GPRS) modem installed in the vehicle. Collectively, these components alert the user and the web-integrated software about the vehicle location and status. These provide real-time vehicle and traffic data that helps drivers compute alternative routes in case of emergency. Vehicle diagnostics has brought a revolution in the auto care industry, with opportunities for business growth and customer retention for fleet owners and auto care business managers, while creating convenience and peace of mind for customers. Considering the significance of the vehicle telematics for both the auto industry and vehicle owners, we believe that vehicle telematics will soon open more doors that will not only make auto care easier to approach, but will also lend a hand in auto technological advancements.